It's pretty simple to lock a PDF file from being printed, copied or altered. You can do it with most PDF editor programs like Adobe XI. Unfortunately, these documents often are locked and the password is missplaced. This prevents printing, editing or even copying the text from the document. There is a simple trick that can unlock MOST password protected PDF files. For this reason, important documents should be encrypted, but I digress. For this example, I used a Windows 7 64 bit system with the built-in XPS printer and viewer enabled. Choose the Microsoft XPS Writer. Rather than print to paper, this prints to file. You will be prompted to save the file somewhere. I just saved it to my Windows Desktop. 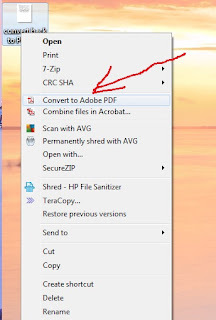 Now, convert the .XPS file back to a PDF. 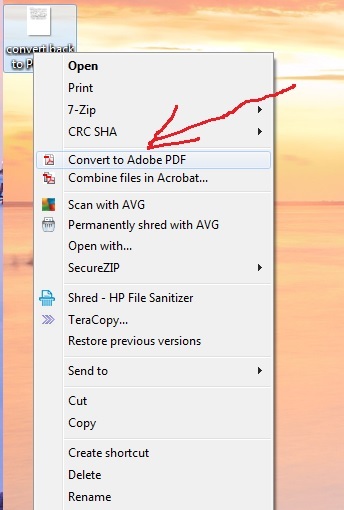 Right Click the file you saved to the desktop (or wherever you saved) and choose Convert to PDF. If you don't have that option, you may need to Print the File back to a PDF. Similar to what you did converting it to an XPS file. The end result is a new PDF file that is unlocked.